Don’t want mosquitoes to disturb your dream at night during an awesome camping trip? 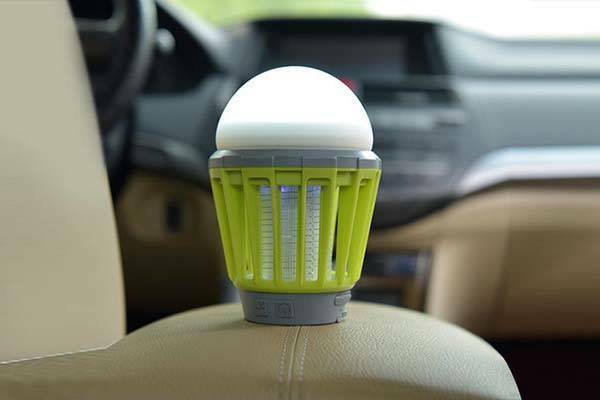 Take a look at the mosquito zapper LED lantern. It may be an ideal solution. 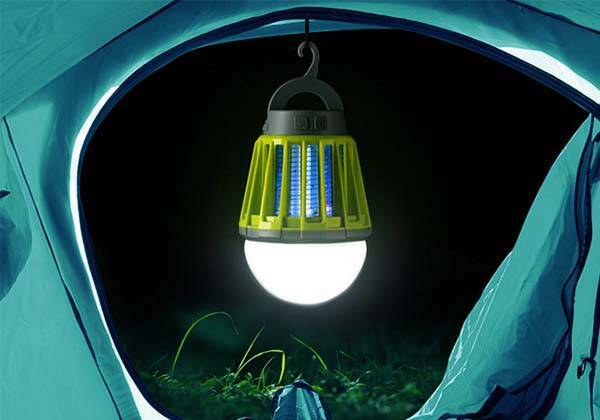 The mosquito zapper lantern is a pretty cool hybrid designed to bring a peaceful camping and picnic time by killing mosquitoes. The LED lantern measures 88mm diameter by 129mm long, and as we can see from the images, it shows off a compact appearance design with three optional colors. Using a flexible hook, you can effortlessly hang the lantern in your tent, or you can also remove the hook and put it upside down. Meanwhile, its durable plastic cage protects its internal components, and it meets IPX6 waterproof resting in order to withstand heavy splashing and rain for outdoor usage. The LED lantern comes equipped with 2000mAh rechargeable battery that offer over 20 hours of illumination at low light mode, and a built-in microUSB port lets you recharge the lantern with ease. The mosquito zapper LED lantern has been available for preorder on Indiegogo (flexible crowdfunding goal). You can pledge $19 to preorder the lantern. It would be shipped in July 2017 (estimated).